I always absolutely love time off from work, but I also always love returning to a familiar routine. It’s telling if you enjoy your job and work space enough to come back willingly for 9 years. 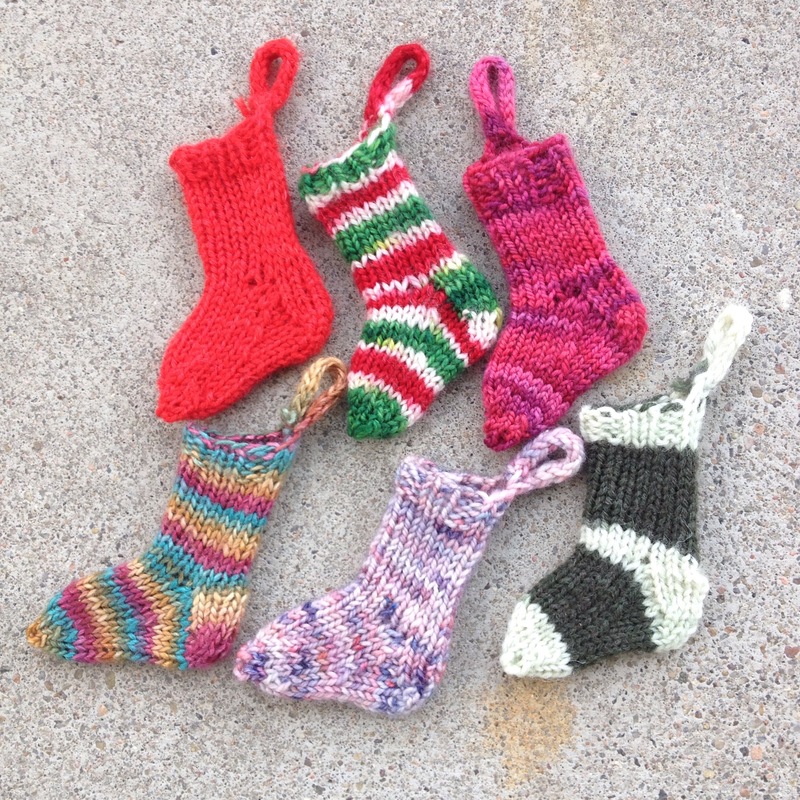 Speaking of routines, I’ve been making tiny socks as Christmas ornaments for Bug’s teachers since she started school. This is her last Christmas at that school, and she’s decided on 4 teachers and the principle as lucky recipients. So, I’ve been knitting tiny socks. I got 6 done and blocked, and I am hoping to finish a few more tonight. Two of these have gone on our tree actually, and I’ll knit duplicates to replace them. I also need 3 for work, one of which I will fill with catnip and raw wool as the small stocking invariably ends up as a toy for my coworker’s cats. I do not consider this an insult, as she adores her cats and I feel certain this is more a compliment than an insult.